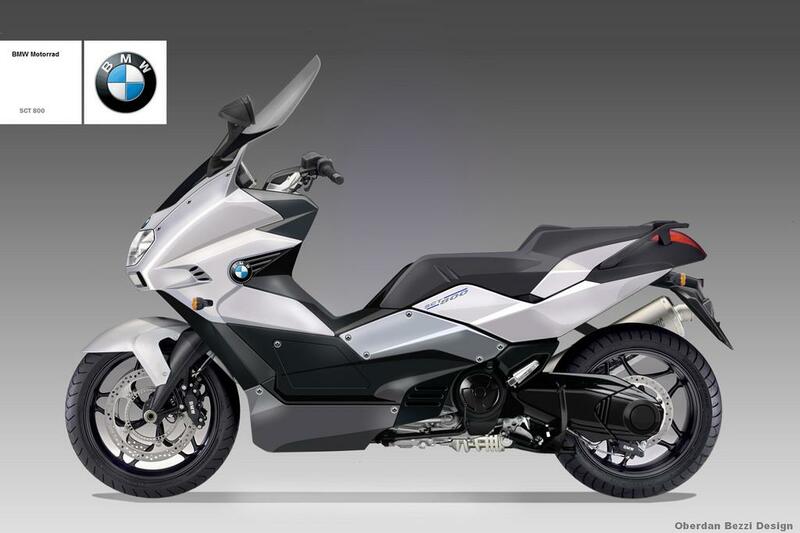 This is a new BMW scooter design. It's equipped with a front twin 800cc 4V engine with more than 70 CV. It mounts 16" wheels of wide section and adopts the telelever front suspension and a monoshock absorber under the motor rear. It aims to be most sophisticated superscooter on the market and will be able to have a large range of exclusive accessories.